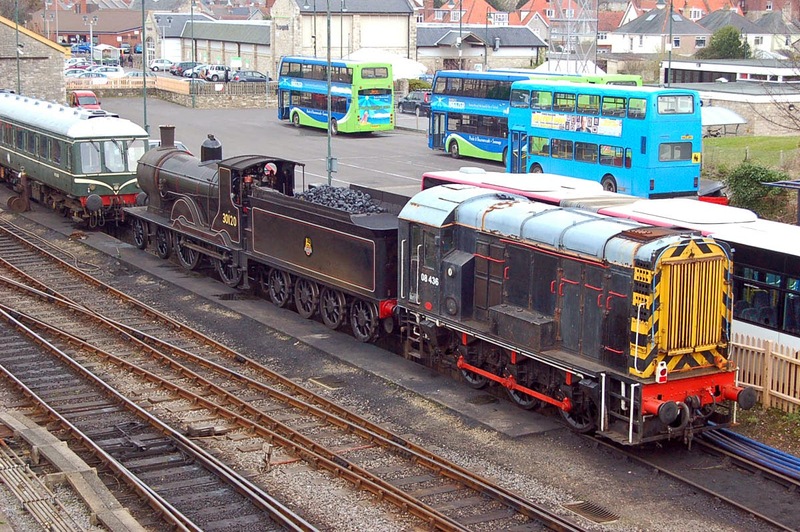 Ian Knight was lucky enough to be sent to Swanage. 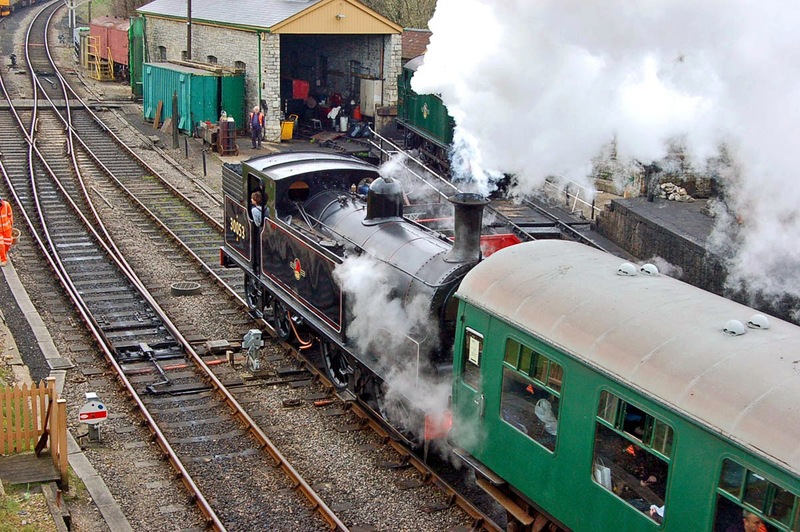 The Swanage Railway Spring Steam Gala is on 5th - 6th April. 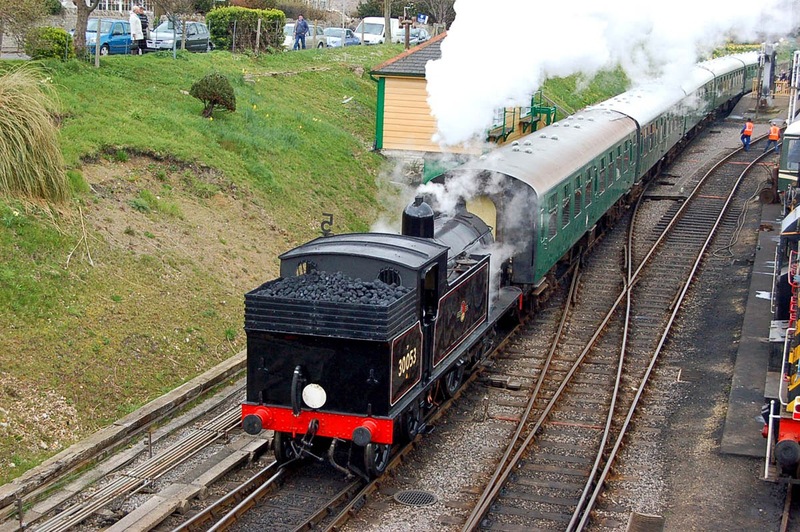 LSWR M7 30053 (Nine Elms 1905) departing Swanage with 15:20 to Norden. 30053 passing the loco shed. 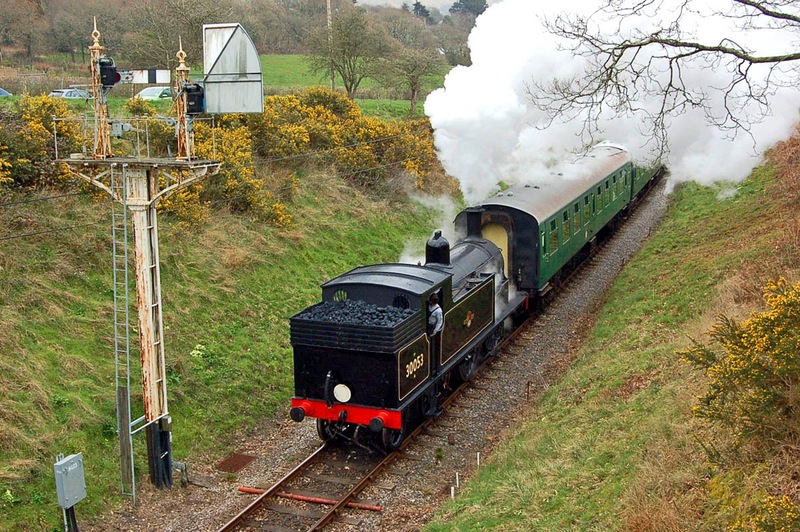 The same train approaching Harman's Cross.